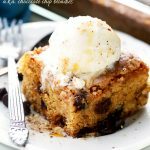 Chocolate Chip Cookie Bars (Chango Bars) – Irresistible, chewy, classic cookie bars loaded with chocolate chips and deliciousness! It’s a recipe everyone will be asking for! But YOU, you can look away, baby, look awaaaaay…. Hayyyy internet friends!! 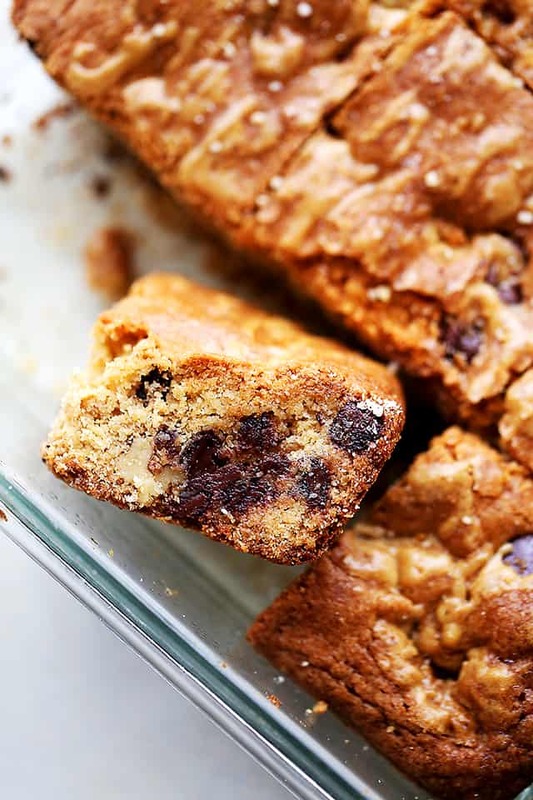 Today is the day I’ve been looking forward to all week – the one where we’re going to talk about these decadent Chango Bars, a.k.a. 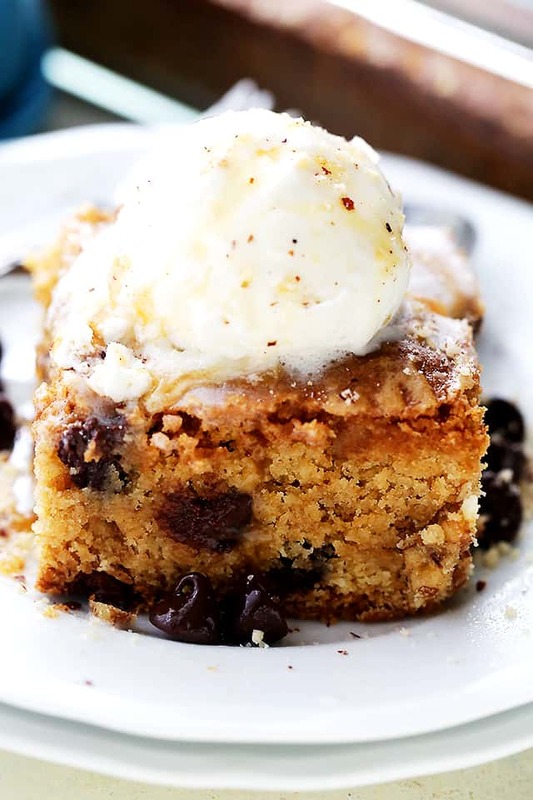 Chocolate Chip Cookie Bars, a.k.a. 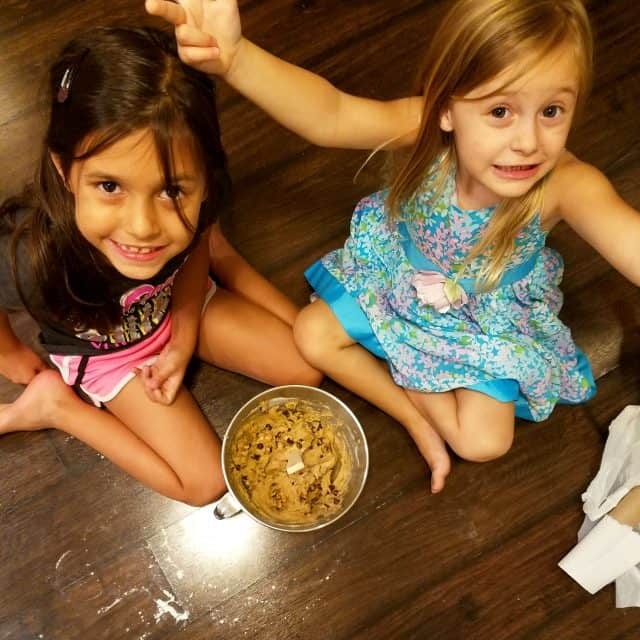 my kids’ favorite recipe! The one that they make themselves. While I’m over here chomping on brussels sprouts and edible grass, those two are enjoying chocolate-chips-loaded-bars with a tall glass of ice cold WHOLE MILK! So, normally, I try to stay away from posting such luxurious desserts up on this blog of mine because, honestly, I almost never eat sugar loaded treats, buuuut there’s always an exception. Like that one time that your kids made those treats and BEGGED you to post the recipe on the world wide web. 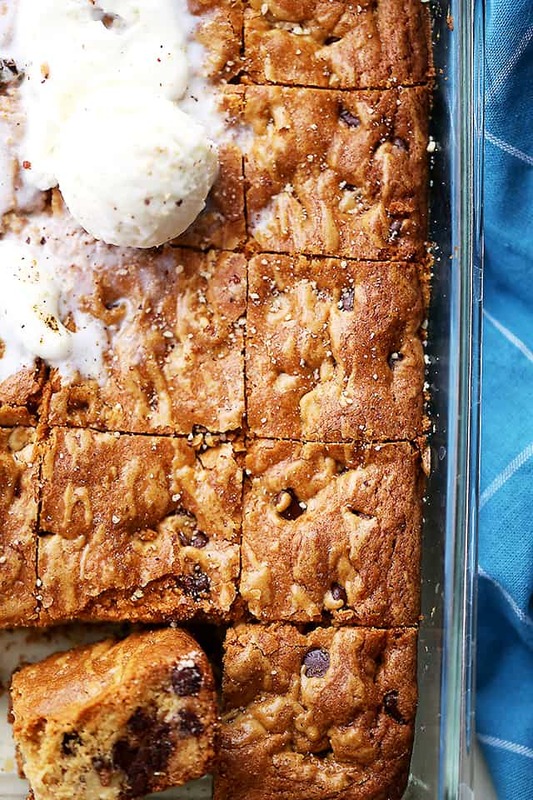 I know I ain’t reinventing the wheel or anything, it’s just blondies loaded with chocolate chips and brown sugar and bla bla bla, but, you guys, they are ah.mayyyyyy.zing! The recipe comes from a children’s book called, Jalapeno Bagels (GREAT book about diversity! ), and that is how my little Ana got her hands on it. Since she read the book, she has probably made these bars about 8 times with a little bit of help from me. STEP ONE is mine: melting the butter. STEP TWO is also mine: creaming the sugar AND butter. STEP THREE, FOUR and FIVE are all theirs: mixing it all together, folding in the chocolate chips, and pouring it all in the pan. FINAL STEP: I slide them in a 350 degree oven for 45 minutes. The end. Also? It’s almost the weekend and no one counts calories on the weekend. NO ONE! 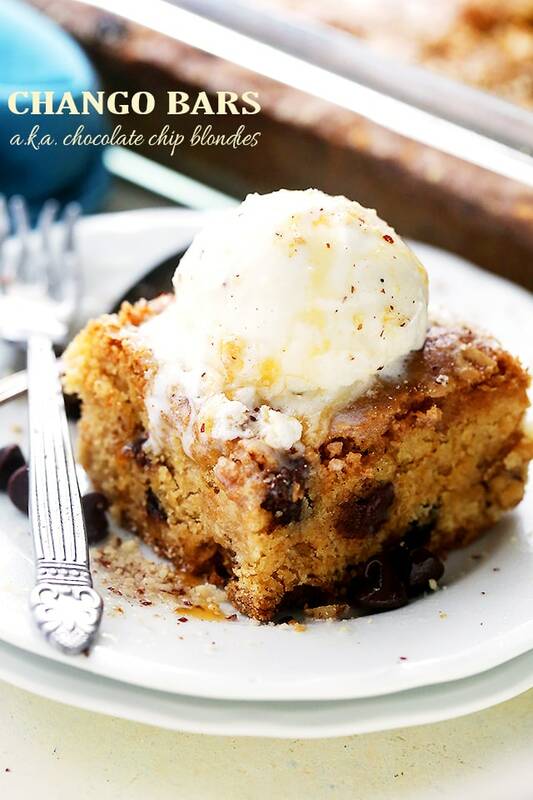 Chango Bars (Chocolate Chip Blondies) - Irresistible, chewy, classic cookie bars loaded with chocolate chips and deliciousness! It's a recipe everyone will be asking for! Grease a 13 x 9-inch baking dish and set aside. In your mixer's bowl, cream brown sugar and eggs until smooth and creamy. Add melted butter to the brown sugar mixture; mix just until combined. Using a wooden spoon, mix the flour mixture into the brown sugar mixture; mix just until combined. .
Pour mixture into previously prepared baking pan. Remove from oven and completely cool before cutting. love this! i am going to have to make this very soon! I wish I could have this for breakfast today! It looks terrific! These bars bring back such wonderful memories of when my mom used to make them when I was growing up. She didn’t bake often, but she did bake these! Your girls are too cute! 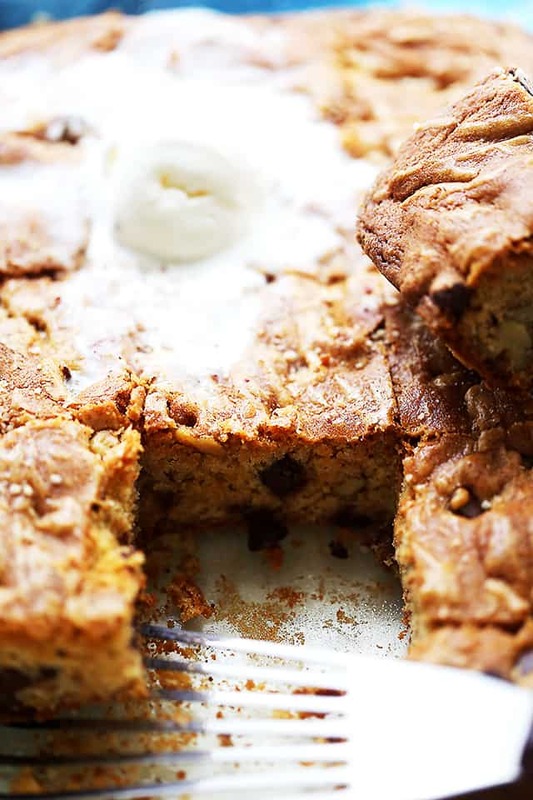 These blondies sound fabulous and we will have to check out that book! Ana and Aleksandra are so stinking cute!!! They should ask chef outfits from Santa! and you’re right, calories don’t count on the weekend! I am already a fan of chango bars just by the description alone.